We’d love your help. 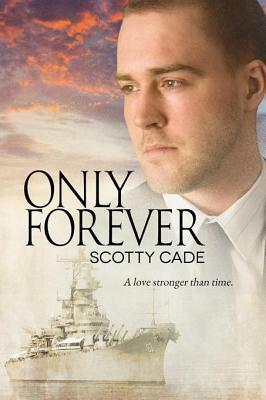 Let us know what’s wrong with this preview of Only Forever by Scotty Cade. Master Captain Theodore Gourdin has always loved the ocean. But his devotion to maritime life left little possibility for a long-term relationship. After two failed marriages, Theo gave up on finding the person who completed him and decided the sea was his soul mate. When offered the opportunity to captain the newly launched megayacht Eternity, Theo jumped at the chance. W Master Captain Theodore Gourdin has always loved the ocean. But his devotion to maritime life left little possibility for a long-term relationship. After two failed marriages, Theo gave up on finding the person who completed him and decided the sea was his soul mate. When offered the opportunity to captain the newly launched megayacht Eternity, Theo jumped at the chance. With Eternity's maiden voyage looming, Theo focused all his energies on hiring his crew and readying his ship. The last thing he expected was to finally lose his heart in the process. 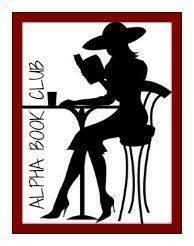 To ask other readers questions about Only Forever, please sign up. 3.5 stars. Ever meet someone and feel as if you've known them before? Heath Rawlins applies for a position on a private megayacht and when he meets Captain Theo Gourdin, both men have this instant zing of awareness and sexual attraction. They also share an almost mystical connection with the sea, with each man making his career on the water. As they begin working together, preparing the Eternity for its maiden voyage, Theo and Heath each have dreamed remembrances of a past life when they knew one another ... intimately. "Only Forever" had quite a few pros for me: I really liked the premise and the idea of reincarnation where two soul mates find each other throughout time. I also liked all the detail about the Eternity - its specs, interior, each crew members' duties, safety procedures, etc. The author knew what he was talking about. In "real life" the sexual attraction between Theo and Heath seemed more like insta-lust, but in their dreams, there is such a sense of heartfelt want and overwhelming love for one another. On the other hand, for a relatively brief story (150 pages), there were far too many scenes of Heath or Theo wondering if the other was gay / bisexual and if their feelings were reciprocated, which slowed the pace of the story, until they finally take the plunge around the 80% point. The prologue and epilogue by SJD Peterson beautifully framed this story and while I loved the premise a bit more than the implementation, I would recommend this book. Well, of course, we need no brainer to know that Theo and Heath were Eddie and Steven i The idea of reincarnation was really good, I really interested of the concept of reincarnation. You know, what we did in a past life, comes alive again and so on and so on. So the 'forever' could really happen. 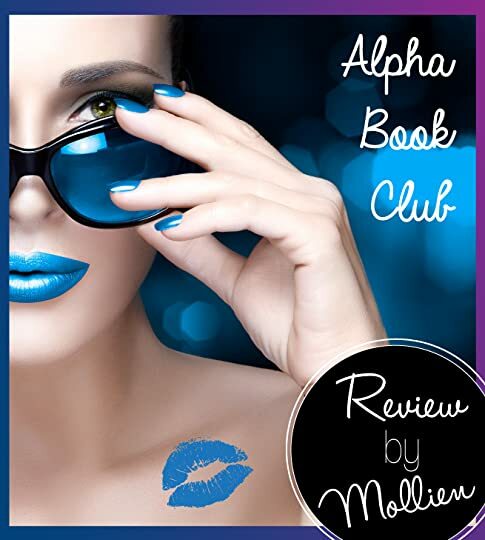 3.5 stars - Proof of reincarnation! :-D Sweet story as I expect from this author. Seemed too short though. I’m not sure how to review this book without doing a little bit of a spoiler, which I’ll mention below. It is from the Prologue though, so isn’t really a story killer spoiler. Also the author directly refers to it in his Preface, so I think I’m safe and won’t get fists waiving at me from the sidelines. We meet two men in the Prologue, or more accurately we meet one man who has just lost the love of his life who was named Steven. The date is April 27, 1942. Before the Prologue is done, the other man, Edward, is also dead. G. Heath Rawlins is a First Officer on a large merchant vessel, but has been looking at jumping ship, literally, and has turned in his thirty-day notice. The next day they are arriving in Savannah, Georgia and his job will be done. He has no idea what he going to do, and has sent out a few resumes. He decides to send one more, this time to the Captain of the brand-new luxury mega-yacht Eternity. Theo Gourdin is the Captain of the Eternity and when Heath’s resume pops up just as he is closing his computer, he is intrigued and replies. One thing leads to another, and soon Heath is hired as the First Officer of the Eternity. But something is strange. Both he and Theo are having these strange déjà vu moments. And strange dreams. And they are attracted to each other…but both know that the other is straight. Why do they keep dreaming about these guys named Steven and Eddie? I really enjoyed the story. As I said above, minor spoiler, you know from the very first page that it is about reincarnation, which I loved. I really enjoyed the way Mr. Cade added some background details about the ship and the crew. I thought those details helped the story immensely, and for this reviewer, it gave me a feeling of being there. I also, of course, had to Google the yacht builder and look at some of their yachts. If you like a story about ship-board life with what I didn’t think were too many ship details, and throw in some reincarnation and some miscommunication, you’ll really like this story like I did. My husband watches that show “Below Decks” constantly. I was picturing those yachts while reading this and I think that helped me feel like I was in the story maybe? But Mr. Cade did such a good job it might just have been his descriptors. I highly recommend this one. Hmmm, what an interesting twist that I did NOT see coming. I will say that I went into this one with no knowledge of what it was about, nor had I read anything by this author previously. I will also say that I am not a fan of paranormal’s… they just don’t appeal to me; I know some people love shifters and ghosts and all that but I just can’t seem to get into them. I like the reality of a book, the way I can relate to the characters and the stories and I just don’t feel like I can with paranormals Hmmm, what an interesting twist that I did NOT see coming. Here's a little about Theo…. He had a couple divorces under his belt, I’m not sure how old he is, I know Heath was in his early thirties, but either I didn’t see how old Theo was or, it just didn’t say; either way, it was a little disappointing that Theo wasn’t gay right off, but like he’d mentioned, he just felt like he hadn’t met his soulmate yet, and of course, why would he? He was waiting on Heath… because they had met before, they’d had a great love before; just not in this lifetime…. It’s so complicated to explain without giving everything away and I really want to!! LOL. If you like reincarnation stories or true soul mates, don’t pass this one up. That ending too… sigh… it was heartbreaking but hopeful in the sense that you knew these two would find each other again. I really, enjoyed it and I’m glad I went in blind or I may not have given it a chance. Fool me, eh? I received this book in promise to leave an honest and unbiased review. Scotty Cade has given us a gift of love and hope and happenstance and eternity in this seemingly laconic but ultimately brilliantly conceived tale. He grabs our attention in an author's note which caused me to get into the book with some hesitation, but in the end I could not agree with him more. This may be something that is not for everyone, but then again, not every one has as open a heart as Heath and Theo. How they develop their friendship, and ultimate love, may seem a little contrived along the way, but once they realize that their bond cannot be broken, we are transported into a short, but extraordinary, journey that has an exquisite, heart pumping Epilogue. (My only complaint is that this book really demands a cover that features both of them. In fact, I think it's Heath on the cover, but it would have been nice to be sure). After an earlier fair review I'd given to Knobs, I'm happy to report that this adult age novel was fantastic. The author stated that this wasn't normal fare, and though may seem insta-lovey, I was thankful he did so. It allowed me to read the story with open eyes and connect with the characters and what was happening to them. Well done, Mr. Cade. I am a sucker for insta-love and here it was totally believable because of the reincarnation angle. No distracting plot otherwise, no miscommunication, no misunderstandings, no annoying secondary characters - really good. This is a standalone short story. There is a little paranormal tossed it making it an I wonder if this could really happen sort of book. I love believing that there is more. That after we die there is a possibility that you can find your true love again Captain Theodore Gourdin feels an instant connection with First Officer Heath Rawlins. After meeting to interview, Theodore feels like he has know Heath a very long time, and he can’t seem to get a song that he doesn’t quite know out of his head. Heath feels the same way and finds the Captain extremely attractive. They also keep having dreams about two men in a ship together in what seems to be the past. They have a very interesting chemistry going on since they think that the other is straight, but they feel like best friends. The story moves along rather quickly and it has a very interesting ending. Only Forever is a poignant story of love through the ages, fate and the reuniting of souls. The prologue and the Epilogue are written by SJD Peterson and are the perfect beginning and ending to this touching story. Cade himself writes the preface, and I highly recommend you read it as it goes into his inspiration for the story which follows. Only Forever was a song born in the 1940s. Joe Louis was boxing, Walt Disney released Pinocchio, and forces were gathering in Europe, with Mussolini joining Only Forever is a poignant story of love through the ages, fate and the reuniting of souls. The prologue and the Epilogue are written by SJD Peterson and are the perfect beginning and ending to this touching story. Cade himself writes the preface, and I highly recommend you read it as it goes into his inspiration for the story which follows. Only Forever was a song born in the 1940s. Joe Louis was boxing, Walt Disney released Pinocchio, and forces were gathering in Europe, with Mussolini joining Hitler—the tides of war were on the horizon, and Only Forever was penned. Sung by several popular entertainers, the version by Bing Crosby hit number one on the charts for nine weeks. The lyrics speak of a love so strong that it will span time and space; that no matter what happens in this life, nothing can keep soulmates from each other, not even death. OK. Whew. Hooked. The romantic in me just ATE THAT UP! The prologue is set on a naval battleship during the war, in 1942, and will make you cry. If it doesn’t, you have no heart whatsoever. Fast forward to present time, and circumstances have conspired to bring two men together whose love of the sea is only outweighed by the strong feelings of deja vu both experience when they look at each other. Master Captain Theodore Gourdin has accepted the helm of the new mega yacht Eternity. He still doesn’t understand the reason he fired his new first officer, a man he just hired, except the fit just didn’t feel right. On the hunt for a new first officer, he is thrilled to receive an email from First Officer Heath Rawlins. Heath is searching for a new position, having left his previous boat for no better reason than he felt it was time. If you can’t see where the story is going here you are blind. Both men start having strange dreams of another ship, in another place, as well as flashes of memories that aren’t their own. Or are they? How does Theo know just where to kiss Heath to get a reaction? Why does Heath feel so “safe” with Theo, like the man will always catch him if he falls? There are no cliffhangers, no angst, no twists and turns, and that is what makes this book so good. If the concept is sound and the writing engaging, you don’t need a hook to make it work. Scotty Cade gives us enough glimpses of a time gone by that when he weaves his tale of present day love, it is seamless. The story paces well—yes, it covers a short time span in present day, but does that really matter? No. Read this story with your rose-colored glasses firmly in place. This is a ROMANTIC heartwarming tale, a curl up in a chair with a good book kind of story, and I highly recommend it. Sometimes it only needs to be about two men in love. Right from the start, Scotty Cade acknowledges that some will view Only Forever as a case of insta-love, but he asks readers to give the story and its characters a chance. So I approached this novel with an open mind. And really, really tried to like it, but I never quite connected with Only Forever. Both Theo and Heath are intriguing creations, and while we aren’t given fully formed characters, they are developed enough to move their relationship forward. The aut A Joyfully Jay review. I don't usually r Independent reviewer for Divine Magazine, I was gifted my copy of this book. Oh my goodness, I am so glad I read this book. Amazing doesn't cut it. This isn't they type of story I would normally read, but something called to the romantic in me. Theo is Captain of a new yacht, Eternity and looking for a crew to man the ship for it's maiden voyage. Heath applies for the First Commander spot and the two meet for dinner to discuss the job. Instantly both men feel a sense of deja vu, like they must have met before. Heath accepts the job and the two dive into preparations for Oh my goodness, I am so glad I read this book. Amazing doesn't cut it. This isn't they type of story I would normally read, but something called to the romantic in me. Theo is Captain of a new yacht, Eternity and looking for a crew to man the ship for it's maiden voyage. Heath applies for the First Commander spot and the two meet for dinner to discuss the job. Instantly both men feel a sense of deja vu, like they must have met before. Heath accepts the job and the two dive into preparations for the voyage. Both Heath and Theo begin having weird dreams about two men in love named Eddie and Steven. While Eddie and Steven resemble Heath and Theo they aren't identical. Both men begin to see eerie resemblances between the dreams and the present and a recurrence of the song "Only Forever" which Theo doesn't remember hearing before but knows all the words to. With the attraction becoming too much to fight, Theo and Heath give into it and immediately feel a sense of completeness. Like they were each half of a whole, waiting for the other. "How long will I search to hold you again? Only forever... if it takes until then!" I'm not sure where to begin, I'm probably going to gush. This was a perfect story for me. I love the idea of destined lovers that find each other from one life to the next. The setting was romantic and perfect as was the name of the yacht. Could there be a more fitting name than Eternity? I loved that there were only a few steamy scenes, it helped lend credibility to the connection between Theo and Heath being more than physical. My favorite parts were the prologue and the epilogue, heart-wrenchingly beautiful. How lucky would we be to find a love that transcends time? To meet the love of your life over and over again. This is one of those books that will stay with me for a long time. I loved this book. I have nothing against instalove, in fact I think it’s pretty great. I will admit to a little bias in my love of this book, because you know, me and the First Captain really share the same name! I truly enjoyed reading this book. My goodness, I loved all the yacht terminology and it reminded me of Fool’s Gold movie, only with actual details. I really loved the descriptions of the yacht, uniforms, about everywhere they went. The story flowed so beautifully. I liked how their re I loved this book. I have nothing against instalove, in fact I think it’s pretty great. I will admit to a little bias in my love of this book, because you know, me and the First Captain really share the same name! I truly enjoyed reading this book. My goodness, I loved all the yacht terminology and it reminded me of Fool’s Gold movie, only with actual details. I really loved the descriptions of the yacht, uniforms, about everywhere they went. The story flowed so beautifully. I liked how their realization of their past slowly built. I would totally recommend it to anyone! Scotty Cade’s Only Forever hit me right in the feels, grabbed me by the heart and touched my soul. Such a good way to start the new year's reading with a beautiful story by Scotty Cade. I liked the main characters, and I liked the environment and naturally I liked the story. The love between Theo and Heath arises immediatly and grows fast also if has deep root in other time and space. I listened the Only Forever song,and if I must be sincere I loved more the line wrote by Mr Cade. The story was a bit predictable and a little bit too new-age-ish. There was not much of a plot either. Sorry S.C., but do some more like Acting Out. That was a 5 star book. A very well written story, with great characters, and story line. I loved this story.